Spring is officially here and we’re super excited for the new spring/summer hair colours. 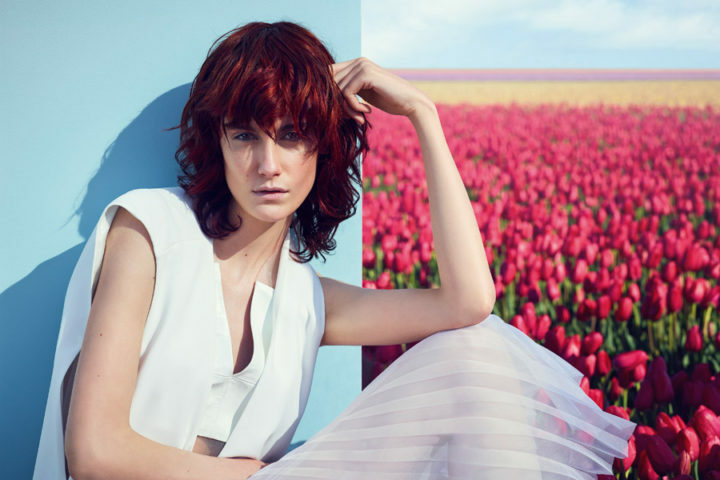 We look at the latest S/S17 trends hot from the runway and share our professional tips to ensure your colour lasts longer. Which hair colour is right for me? 2017 is all about diverse and varied hair colours; quite simply there is a colour for everyone. Here are our three favourite trends for the warmer months. Similar to the incredibly popular Balayage and described as the new ‘Bronde’, the colours are a mixture of caramel and deep brown and complement warm brunette tones. If you’re after a natural looking shade which blends together seamlessly, look no further than Tiger Balayage. Ready to make a statement? Then let us introduce you to the hottest colour this season: Red. There are so many variations of this tone this year. We love Copper… rich, bold, bright, yet still natural looking, this auburn tinged hue is incredibly flattering and the perfect partner for glowing summer skin. If you’re not quite ready for Copper, why not try Blorange, quite simply a mix of blonde and orange. This vibrant colour has been seen on catwalks, celebs and Instagram but is softer than Copper so can be woven gently in to lift your overall colour. Looking for a more subtle hint of red? Rose Gold is the perfect choice and a natural transition for blondes. Flattering for most skin types it can add a warm glow to complexions. Fancy switching to a cool colour for the summer? Good news: Platinum Blonde is making a comeback. This classic, sophisticated shade reminds us of old Hollywood glamour. Remember to make regular appointments for root touch ups to keep your locks pristinely cool. Are you ready to change your look? Pure Hair Leamington is here to help. 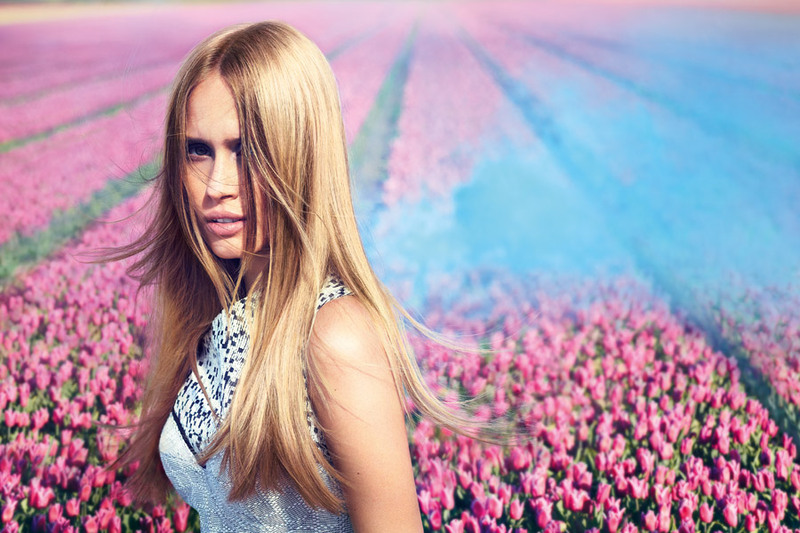 Call 01926 429584 to book your complimentary colour consultation and step into summer now. So you’ve chosen your gorgeous new colour… but how do you help keep it as rich and vibrant as the day you walked out of our salon door? If you can, avoid washing your hair for a couple of days after your colour service to allow the colour to sink deep into the hair. Even better, cut down where you can on washing frequency. A dry shampoo is a good stand-by; I like EIMI Dry Me. When you do wash it, keep the water lukewarm as heat makes colour fade faster. Also try to reduce the amount of time spent under water as excessive rinsing drains colour. Avoid swimming and saunas for a week after your colour service. Intense heat and chlorine cause colour fade and can give blonde shades a green tinge. Always have your colour topped up a week before your holiday and not last minute, for this very reason. Apply a sun protection barrier product and wear a hat in the sun, to prevent harmful UV rays fading colour and causing dryness. Always guard against heat damage. Before you reach for the straightening irons, hairdryer or curling tongs, spray on a heat-protective product such as Alterna Bamboo Smooth Anti-Breakage Thermal Protectant – which is clinically proven to reduce breakage by 87% and provide thermal protection up to 428 degrees. Here at Pure Hair Leamington, we love the opportunity to create beautiful, long lasting colours for clients. Whether you want a bold transformation or subtle highlights we tailor our shades to your individual requirements. If you’re ready for a change, why not pop by for a complimentary colour consultation. Our experts will discuss your hair condition, skin tone and lifestyle to ensure your chosen colour is the perfect match for you.